KAMPALA – Paying tribute to reporters around the world who “put their lives on the line” to tell important stories, UN chief António Guterres lamented on Monday that freedom of the press was increasingly “shrinking” worldwide, and called on decision-makers to better protect journalists and media workers. “We’ve come a long way towards realizing freedom of expression, and other fundamental freedoms. The right to access to information is entrenched in law in over a hundred countries,” said Secretary-General Guterres during the event, which marked the 70th anniversary of the Geneva Association of UN Correspondents (ACANU). “But despite these advances, in recent years, civic space has been shrinking worldwide at an alarming rate”, he explained. In just over a decade, more than 1,000 journalists have been killed while carrying out their work. In nine out of 10 cases, no one was held accountable. Last year alone, the UN agency advocating for freedom of the press, UNESCO, reported that at least 99 journalists were killed and thousands more were attacked, harassed, detained or imprisoned on spurious charges, without due process. Women journalists are often at greater risk of being targeted, including through online threats of sexual violence. The Secretary-General stressed that the vast majority of those detained and attacked are local journalists working in their own countries and communities, and that “most of the journalists and media workers killed, injured and detained were covering politics, crime, corruption, and human rights,” not conflict. Calling this state of affairs “outrageous,” the UN chief stated that “when journalists are targeted, societies as a whole pay a price” as “no democracy is complete without press freedom”. “Journalism and the media are essential to peace, justice, sustainable development and human rights for all – and to the work of the United Nations,” he noted, paying tribute to reporters who “go to the most dangerous places on earth, to bring us important information, to give a voice to people who are being ignored and abused, and to hold the powerful to account”. “In the two years since I became Secretary-General, the media has brought to light dramatic human suffering in conflict zones, major cases of corruption and nepotism, ethnic cleansing, premeditated sexual and gender-based violence and more, from every corner of the globe,” said Mr. Guterres. “In some cases, these reports were the basis for further investigations by independent observers and human rights reporters”. The UN chief called on Governments and the international community to “protect journalists and media workers, and to create the conditions they need to do their essential work, and to investigate and prosecute the perpetrators of attacks on them”. The United Nations General Assembly, the Security Council and the Human Rights Council have condemned attacks on journalists and expressed their support for media freedom through many different frameworks and processes, including the UN Plan of Action on the Safety of Journalists and the Issue of Impunity, a strategy to support the environment journalists need, to perform their vital work. In addition, the UN General Assembly has designated 2 November as the International Day to End Impunity for Crimes against Journalists. Deploring the increasing amount of misinformation in the digital age, Mr. Guterres went on to explain that the UN is stepping up its work in media and information literacy, to help people with the knowledge and skills they need to detect deliberate disinformation, counter hate-speech and defend media freedom. “The organisation is also working on monitoring violence against journalists, “an important indicator for sustainable development”. Finishing on what he termed “a positive note,” the UN chief said that the digital age is also full of opportunities. “There are many clear signs that the public is starting to understand how important it is to look for information sources that are authoritative,” said Mr. Guterres. “The public will always need reliable information and analysis provided by free and diverse media,” he noted. “Your work reminds us that truth never dies and that our attachment to the fundamental right that is freedom of expressions must also never die… Informing is not a crime,” he concluded. The call comes weeks after Ugandan Police arrested journalists for investigating corruption. The Police arrested Godfrey Badebye, Shafiq Kisame and Rashid Kaweesa, all working for BBC and Vivian Nakalika, wife to NBS investigative journalist Solomon Sserwanjja who was also grilled by the authority for investigating corruption in the health ministry. Harassment of journalists is on the rise in Uganda, and freedom of speech is under threat, according to a recent report by Amnesty International. 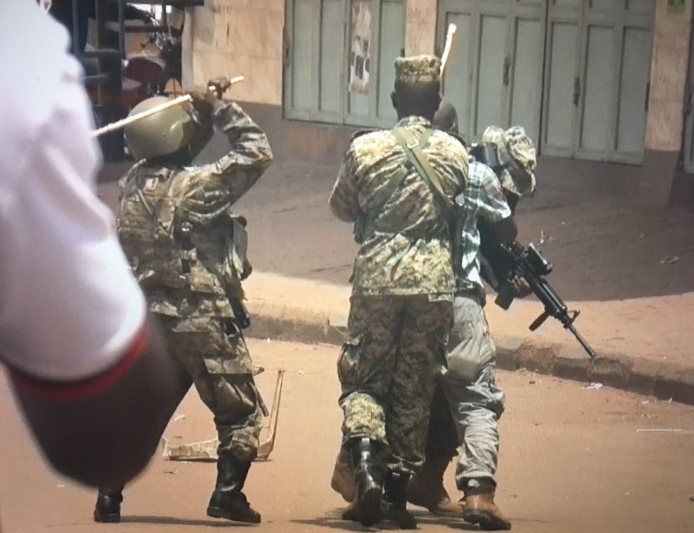 In August last year, various media houses including NTV and NBS televisions reported that their journalists went missing following the chaos and gunfire that rocked Arua town. Some of these were reporting live about the death of MP Robert Kyagulanyi’s driver who was shot dead. 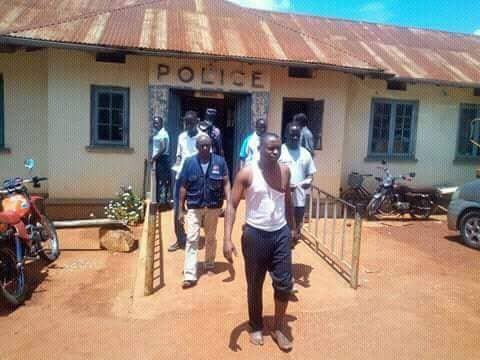 Some of the journalists that went missing include, NTV’s Herbert Zziwa and cameraman Ronnie Muwanga but the duo was released from Gulu Central Police Station on bond after being charged with incitement of violence and malicious damage of property. Others include John Kibalizi for NBS television and several others. On August 31, security operatives attacked and battered Joshua Mujunga, a video journalist at NBS Television for covering a riot in Kamwokya, a Kampala suburb. On most of these and many other occasions that have gone unreported by the media, police have walked away with impunity. Various reports by human rights activists have for many years ranked Police as the number one violator of human rights. In September last year, Ugandan authorities blocked registration of foreign journalists seeking to work in Uganda the access to accreditation documents, a requirement for them to operate in the country. 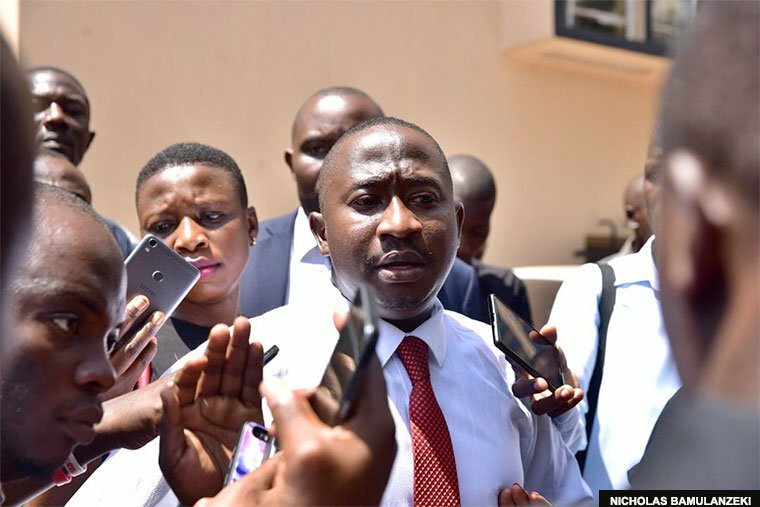 According to a statement issued by FCAU, over ten journalists wishing to report in Uganda were not given accreditation despite fulfilling the requirements and following the procedures. According to the association, although the process was quick and straightforward in the past, applicants have since been tossed by the media council. The association noted this happened at a time when the rights of the media in Uganda are being violated.